There are few men in the history of the Christian Church who were greater preachers, more dedicated servants of God, and more godly examples than John and Charles Wesley. While the Methodist Church stands as a reminder of their impact on church, particularly English and American, history, their works extend beyond denominational boundaries. In the case of Charles Wesley, his poems provide a great portion of good, solid Christian hymnody. But there are those of us who grew up Methodist and left that denomination. I assure you that I did not leave over any quibbles regarding Charles Wesley’s hymns. Nor did I leave over John’s vision for spreading the Gospel. Nor did the idea of intense Christian fellowship, which the Methodist Societies promoted, turn me away. When I was growing up, my experience in Methodism was in a local church that tended toward a very soft, flat, thin approach to Scripture. Blatant theological liberalism, the kind that denied the Resurrection or the miracles of the Bible, would not have been accepted in a small, southern community, such as the one where I grew up. The hymns were still sung in the church–Thank God. The Apostles’ Creed was recited–Praise God. And much that was done was solid, orthodox, and traditional. However, whereas the Wesleys preached the New Birth and the radical nature of conversion, the tacit assumption among Methodists was that we were really okay as we are and that only Baptists got carried away over topics such as being saved, being once saved thus always saved, and not dancing. Those who got carried away more than Baptists were the Pentecostals, commonly known as Holy Rollers. In 1974, I found myself sitting in an American history class feeling quite smug. I knew American history. This was going to be a review and an easy A. This self-confident 18 year old suffered the most severe brain concussions of his life-time. The teacher was Professor Henry Wood , whose reputation was that he strayed from the book to lecture on and on about fanatical religious points. He was, rumor had it, a Baptist preacher. Unlike any Baptist preacher I had ever met, however, he didn’t have a big toothy smile. He did laugh but only when he told what appeared to be jokes. For example, he chuckled when he told of a man who said at a conference, “I am an Armenian, but not an Arminian.” (I now know that was a statement by R. J. Rushdoony.) Worse than the lack of communicable humor was Mr. Wood’s tendency to upend the way I understood history. He began the first class by referring to Woodrow Wilson as an ignoramus. Wilson would be the first of many ignoramuses in Mr. Wood’s notes. One of the most surprising turn-arounds in Mr. Wood’s class was his discussion of a man named George Whitefield and an event known as the Great Awakening. We had already heard a lecture on a man named John Calvin who greatly influenced many of the settlers to the colonies. Calvin’s theology was quite shocking, but I took consolation in the fact that Methodists and other normal Christians would have never thought such bizarre things. Then came Whitefield. Mr. Wood not only praised and lauded the man, but mentioned that the first volume of a biography of Whitefield had been written. Mr. Wood was a voracious reader. Whitefield was a Methodist. Denominational labels as we know them were not the case in Whitefield’s day. He was actually a Church of England minister. To jump ahead to the brain concussion, I began reading theology. To make it worse, I read theology by Reformed writers. I didn’t even understand what the word “Reformed” meant, but I assumed it meant that they had tried to correct the odd views of Calvin. It really wasn’t the Reformed guys who smacked me in the head, rather, it was the Bible itself. When your self-assured intuitive knowledge runs full speed into the Bible, it hurts. When I woke again, with a headache that has never gone away, I was on the same side of the theological fence as Whitefield and Calvin. So, when I had the money, I got Arnold Dallimore’s two volume biography of George Whitefield, read it, and loved it. Through the years, I read quite a few other accounts of Whitefield. Most of these were either short chapters in books extolling the man or portions of studies on colonial history. Many times, I have taught about Whitefield in my American history classes. Occasionally, I have dipped into George Whitefield’s Journals, one of many fine Banner of Truth books. Last year, I learned of the publication of a new Whitefield biography. Being a Yale University Press, it was a bit high priced, but at least was a quality hardback. Then last summer, I got to hear the author, Dr. Thomas Kidd, a history professor at Baylor, at the Association for Classical Christian Schools conference in Dallas. 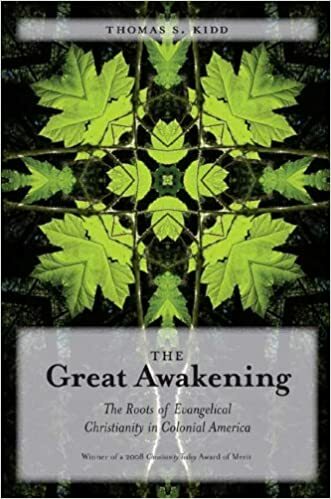 First, I bought Kidd’s book The Great Awakening: The Roots of Evangelical Christianity in Colonial America, based on Dr. Chris Schlect’s recommendation. $40 for George Whitefield: America’s Spiritual Founding Father was prohibitive until I was able to make a quick $40 from selling my own book. This biography is a fine work that aptly complements Dallimore’s more lengthy book. Some of you will be aware of the biographies of Jonathan Edwards by Iain Murray and George Marsden. Both are great works, but Murray’s book focuses on presenting a model for Christian life and theology, while Marsden wrote an academic biography. What Kidd did for Whitefield is the same as what Marsden did. Both kinds of biographies are needful. Concerning the book itself, Whitefield’s life is quite interesting. He grew up in a broken and poor home. He struggled with lots of personal issues and challenges. His oratorical gifts could have led him to the stage, but grace intervened and he determined to enter the ministry. Whitefield fell in with the Wesley brothers. This would be the defining connection in his life. With the Wesleys, he pursued the idea of ministry and mission. While they began as his mentors, he outpaced them in time. One might, from a Twenty-first century perspective, correct the theological struggles of the fellows who were called Methodists, that is, those who were trying to follow the method of the Bible. Were these guys already converted, but adding an experience on to what they already believed? Did they embrace a type of works-theology before they saw the clarity of the new birth? Were they a bit too uptight about religious matters? All these are useful questions, but they are for theology class, not history class. Whitefield began doing radical things. When either the crowds exceeded the church’s capacity or the preacher forbade access to his own pulpit, Whitefield took his preaching outside. He preached anywhere and everywhere he could. The crowds were huge and the reactions intense. When the Wesley brothers learned of his methods and successes, they balked at first, but then joined in. While Whitefield had an impact throughout the British Isles, his greatest ministry was in the colonies. He started an orphanage in Georgia that became a focal point of his attention and fund raising. But he ranged up and down the colonial seaboard preaching in all manner of churches and outdoor venues. The crowd numbers are astonishing. The reactions, again, were intense. Religion excites all kinds of passions, and Whitefield’s style and urgency heightened such passions. He formed some amazing friendships and alliances. He and Jonathan Edwards, while never close friends, were brothers-in-arms in the cause. He fanned the flames of the Great Awakening. (Excuse the cliché in the last sentence. As Dr. Tom Wagy often says, “Avoid clichés like the plague.”) The most interesting friendship was between Whitefield and Benjamin Franklin. Both men were supportive of each other, but in spite of Whitefield’s witnessing to Franklin, the great inventor clung fast to his Deistic religion. A very instructive aspect of the biography was Whitefield’s blind eye toward slavery. It is a harsh reminder that we are all people of our times, and while Whitefield was good about preaching the gospel to African-Americans, he not only accepted slavery but took advantage of it when it came to finding workers on the plantation connected to his orphanage. Of course, a key theme in the interaction between Whitefield and his brothers-in-Christ, the Wesleys, concerned Calvinistic theology. They butted heads repeatedly over it. Whitefield was both an evangelist and a Calvinist, as is often pointed out. The Wesleys were self-professed Arminians. At times, these fights took both sides to the mat, and both often ended up bloodied, but neither gave ground. The 18th century had more than its share of theological wars, of which Reformed theology was only one. The comforting part (besides the fact that I think Whitefield won the theological battle) is that Whitefield and the Wesleys had true times of affirming their brotherhood in Christ and commitment to work together in the greater kingdom issues. Whitefield was never a great theologian, but one would be amiss to underestimate his many years of Bible study. Those who merely read his sermons cannot grasp how his preaching drew such numbers. He stumbled in many points. His faults as a husband are exceeded only by John Wesley’s faults in the same area. Both could have benefited from a few marriage seminars. Like many of us, he grew older, heavier, and less able to whip up the same kind of zeal, crowds, and results in his older years. But he never gave up, never dulled the Bible centered message, and never conformed to a faith that was institutional rather than personal. He is a hero of the faith. Flawed, quirky, and sometimes inspired by zeal without prudence. The fault lines are in the book, but so are the qualities. God grant that we could all learn from this man. Post Script: I recently purchased a copy of Dr. Kidd’s biography of Patrick Henry, and I hope to get a copy of his latest book American Colonial History: Clashing Cultures and Faith. I believe Dr. Kidd is emerging, with already having quite a few fine books, as one of the premier historians on American colonial and religious history. He is what I want to be when I grow up. This picture is from the Ashbrook Scholar program which has a great reading list on politics and philosophy. Click on the picture above. This is proving to be a challenging year for teaching government. With Hillary swinging between the extremes of barking like a dog or snapping in anger at a questioner, with an aging Socialist drawing massive crowds, with large crowds attending the Republican debates–as participants, not candidates, and with Donald Trump being himself, politics and current events have been crazy. Switching from the political updates, ranging from terrorism in Brussels to tangoing in Cuba, to serious political philosophy is tough. It is like watching the classic Shawn Michaels vs. the Undertaker WWE match and then switching over to a stock market report. But the current political dust will settle. Fewer people will remember Chris “Krispy Kream” Christie than those who remember former Vice President Thomas R. Marshall. Most of the current political rants, diatribes, promises, and oratory will become, to borrow from Macbeth’s words, tales told by idiots, full of sound and fury, signifying nothing. This is not to denigrate politics, government, the election cycle, political debates and rallies, or the importance of the Virgin Islands delegation in the event of a brokered convention. Bismarck, the wily Prussian politician of the past, warned that it was best not to watch sausage and laws being made. The same might be said for the political process of electing leaders. Beyond that are the political classics. There are books that have endured through the ages. They reflect discussions, debates, ideas, and concepts that generated conversations that have never ceased. They don’t comment on the issues we face, obviously, but the quips and quotes, the bits of blinding wisdom, concise summaries of human propensities, and the reflections on the human condition speak to our times and all times. Mark Twain said that a classic is a book that everyone talks about, but nobody reads. That was before our time when nobody even talked about classics. But there have always been remnants, hold-outs, individualists, and even odd balls who counter-march against the culture. In other words, someone always keeps reading the classics. The flame flickers, but never goes out. I took one government class in college and CLEPed out of a second one. Along with a number of history and literature classes, none of these took us into the riches of political classics. Thankfully, given enough time and true repentance, we can survive our own educational deficiencies. In my Ancient World Humanities class, we have been battling our way through Plato’s Republic. It is, I must admit, over the heads of my 9th graders, also my 10th, 11th, and 12th graders. It’s over my head as well. I have told the students that they are in kindergarten and I am in 1st grade. Nevertheless, our perseverance has paid off and we will finish Plato this week. We have struggled with the concept of the Ideal State and rule by Philosopher-Kings, the vision from within the cave and the mission of those outside the cave, and the delineations Plato/Socrates makes on every statement. My hope is to make it to 2nd or maybe even 3rd grade through this reading. 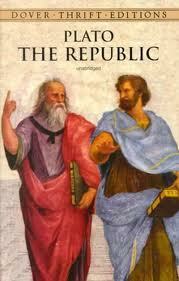 By the way, we use the Dover Thrift Edition of Plato’s Republic. I do not recommend it. The translation was done by Benjamin Jowett, who was an esteemed classicist in his day, but I have found the Hackett Classics edition, translated by C. D. C. Reeve, much better. In government class, we are reading from The Federalist Papers by Hamilton, Madison, and Jay. This reading is following some study of the Constitution. I first made it all the way through The Federalist Papers some years ago when teaching government. Usually, our classes focus on reading at least 10 to 20 of the 80 plus essays. I have found the best edition for this work is The Federalist Papers in Modern Language Indexed for Today’s Political Issues, edited by Mary E. Webster. Dr. Webster has modernized the punctuation, added sub-headings, and added some notes that ease the reading of these essays. Some of these essays raise questions that seem obvious. For example, the first series concerns whether one nation (or one united confederacy) would be superior to having multiple nations. Since we have grown used to the idea of the original 13 states (grown now to 50 states) being united as one, we forgot that this was a serious contention. Historical references abound in these essays. The authors knew history and used history. The insights into human nature are profound. We can be assured that there is no limit to the wisdom of these essays. On my own, I recently read John Stuart Mill’s work On Liberty. This was the first time I had the book, or lengthy essay. It is brilliant. I determined to make no notes and mark no passages with this first reading. That was difficult. This is not to endorse everything that Mill said or to buy into his system. He is a strong proponent of individualism and free thought. In what was probably a time where there was little independence of ideas, Mill was pushing the envelope. In our age, I am not sure he would be all that pleased with all who march to their own drummers. On Liberty is one of the best political works I have read. Certainly conservatives and libertarians would enjoy and benefit from this book. I would not mind adding it on to the teaching load, if only we could squeeze it in. This last political classic may be the least known. Yet, I think it is the most important. I read this book near the end of 2015 and am currently reading it again. 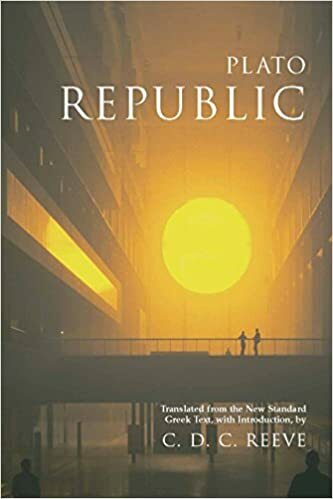 It is published by Wordbridge Publishing, which is under the direction of Ruben Alvarado and is the publishing house for some outstanding works on political philosophy. Guillaume Groen van Prinsterer (my story of the man from the year 2008) , commonly just referred to as Groen, is one of the greatest Christian political thinkers and activists of all time. His realm of action was in the Netherlands during the 1800s. He was a court historian who turned his scholarly labors to dealing with political issues of his time. He rightly determined that the philosophy stemming from the French Revolution was a poison that would destroy Christian culture and the political order of Christendom. Groen, along with others, started a political party. He and his political allies worked to create one of the most vital ingredients for a Christian society, Christian schools. His labors involved writing and assembling the Christian history of the Netherlands and the contributions of Christian thought and action from the time of the Protestant Reformation. Specifically, he labored for the freedom and opportunity to start Christian schools. It turned out to be an 80 year battle for the heart and soul of the Netherlands. As with many Christian works, the first fruits are short lived, but the labors have long-term effects. We are still tapping into the resources of Groen’s thought. His name is overshadowed by that of his colleague and successor Abraham Kuyper. Kuyper’s brilliance and many accomplishments are not to be minimized, but without Groen, there would have been no Kuyper as we know him. Groen’s main work was titled Lectures on Unbelief and Revolution. It consisted of talks he gave to a group of interested friends on the impact of the French Revolution and how that movement was at heart unbelief. That work, which was his earlier work, and Christian Political Action in an Age of Revolution were originally in Dutch. Outside of some Reformed theological circles and Neo-Calvinist philosophical circles, few people look into the writings of Dutch theologians and philosophers. It is amazing how the little country of the Netherlands produced a whole array of brilliant Christian thinkers during the 1800s and early 1900s. The names include Groen van Prinsterer, Abraham Kuyper, Herman Bavinck, Herman Dooyeweerd, H. Van Reissen, G. C. Berkouwer, Klaus Schilder, and many more. We can add the names also of those who crossed the pond from the Netherlands to North America. Louis Berkof, Gerhard Vos, and Cornelius Van Til are among the esteemed names we give here. Basically, our current political struggles are a re-fighting of the issues of unbelief. I don’t want to simplify and over-simplify current politics so as to boil this down to two charts with one being the good guys (belief) and the other being bad guys (unbelief). We are not talking about current candidates, the two-party system, or the 2016 election cycle. Unbelief is a deeper problem than Bernie’s Socialism, Hillary’s emails, Donald’s tweets, or Ted’s abrasive personality. The problem is not located in the candidates, but in the heart and soul of the country. We expect flawed sinners to bring us “hope and change.” We expect walls to keep out problems and bombs to make the world safe. We need to get back to some deeper issues. Some of the answers–or at least the right questions–can be found in Plato’s Republic, The Federalist Papers, and Mill’s On Liberty. 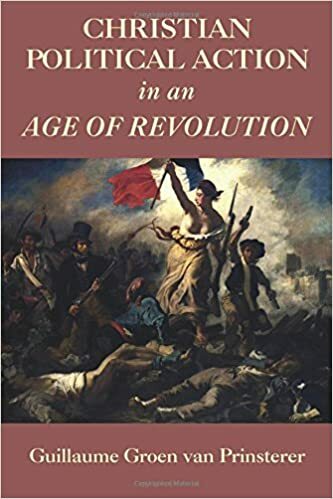 As we get serious about rebuilding a political and social culture, we have to mine the gold found in those Dutch writers like Groen van Prinsterer and in this fine book Christian Political Action in an Age of Revolution.